while the handles make pickup and shaking easy. 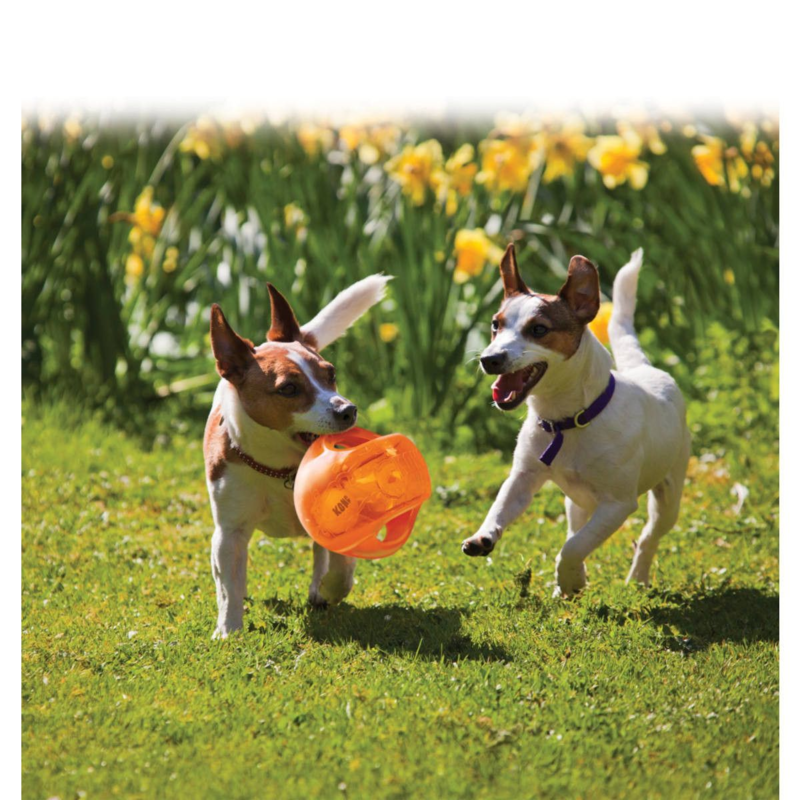 making it ideal for games of fetch. 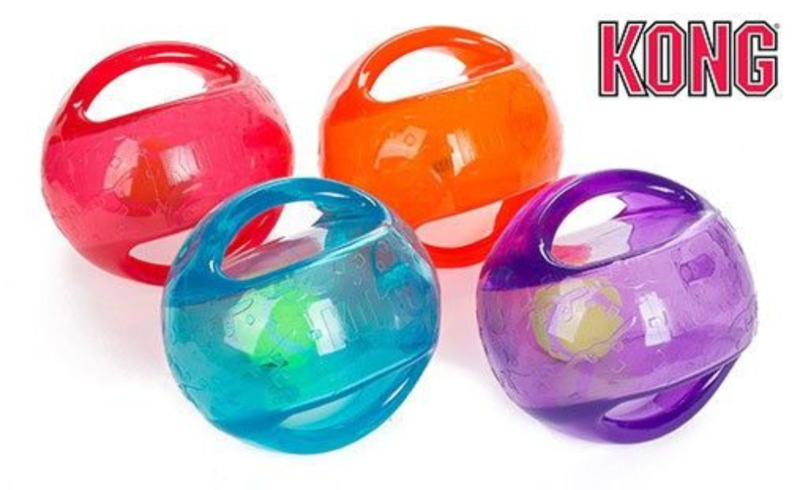 Available in two shapes and sizes, the KONG Jumbler will ensure an exciting, active play session for you and your dog. 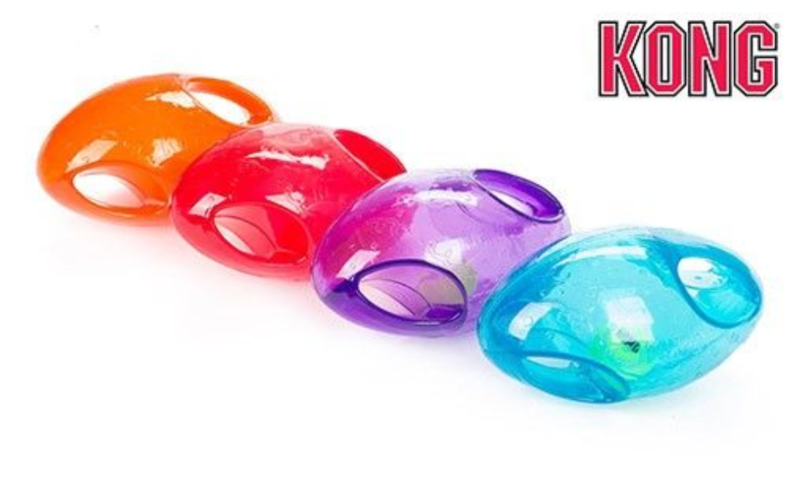 Made from strong flexible thermoplastic rubber . Jumbler Ball Medium / Large 5.5" x 5.5" x 5.5"
Jumbler Ball Large /Extra Large 5.3" x 9.0" x 5.3"
Jumbler Football Medium / Large 4.3" x 7" x 4.3"
Jumbler Football Large / Extra Large 7" x 7" x 7"